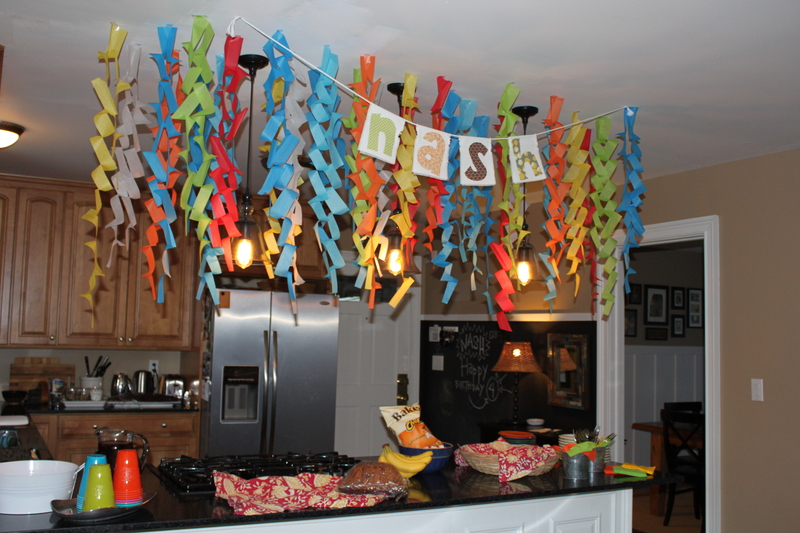 We had so much fun celebrating Nash’s 4th birthday! I can not believe what a big guy he has become this past year. So many great milestones! Each day he become more and more like a little man. He is amazing and so full of life, silliness, joy, and passion!! decorating and getting ready for the party! 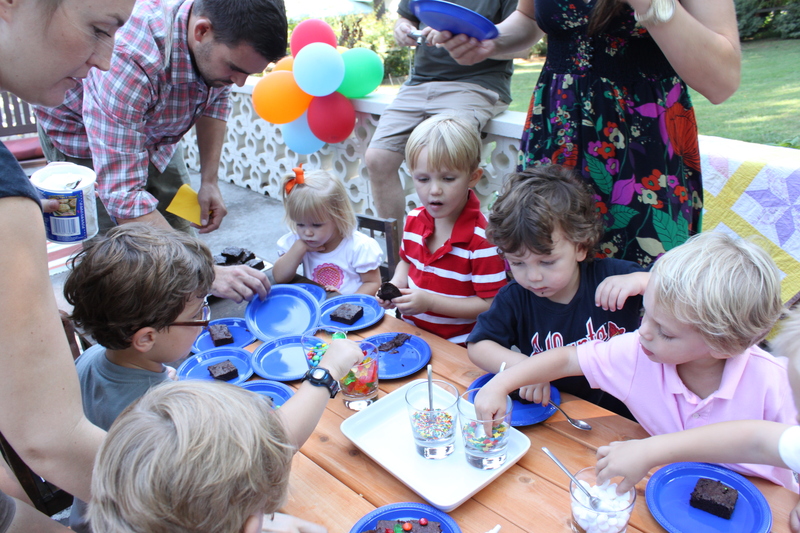 Nash is still not a fan of being the center of attention in a crowd...so "Happy Birthday" song is probably his least favorite part of a party. Poor guy wanted to run and hide in his room. I even had to blow out his candles for him. 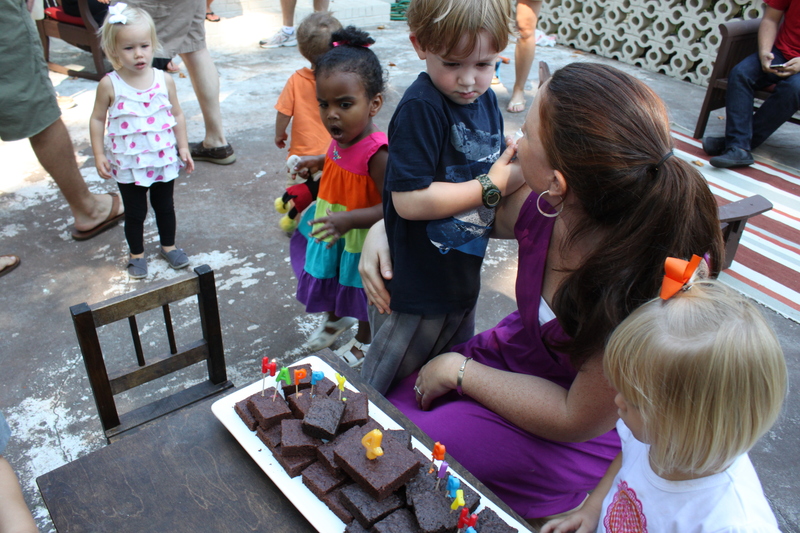 Instead of a traditional cake, we did "decorate your own brownie". The kids loved it! 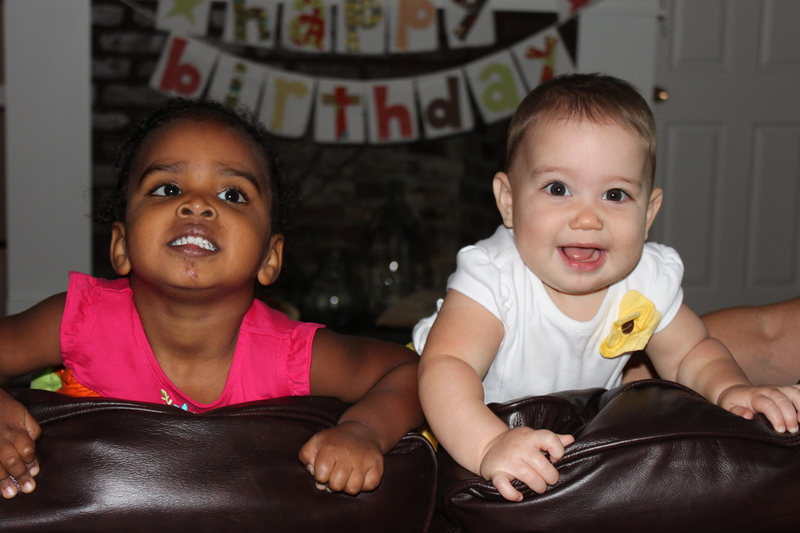 The parents all thanked me for giving their kids an overdose of sugar at 10am! 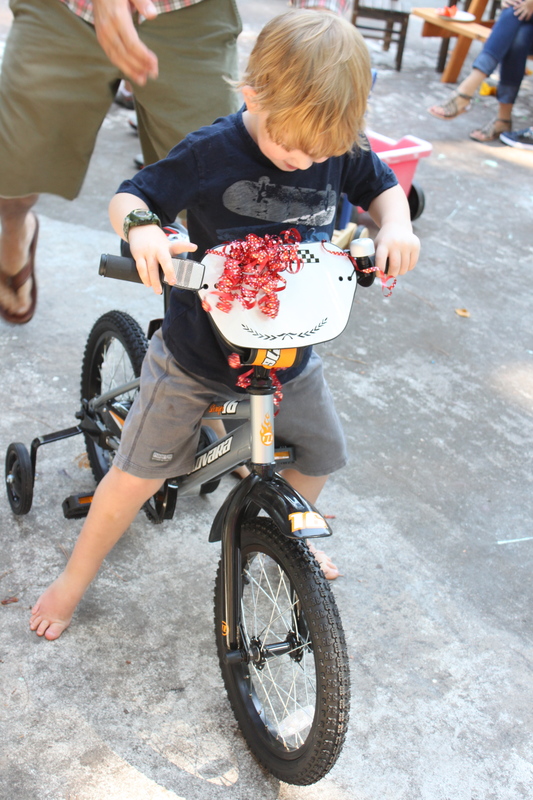 The big birthday surprise...Nash's first big boy bike!!! He was beyond thrilled!!! 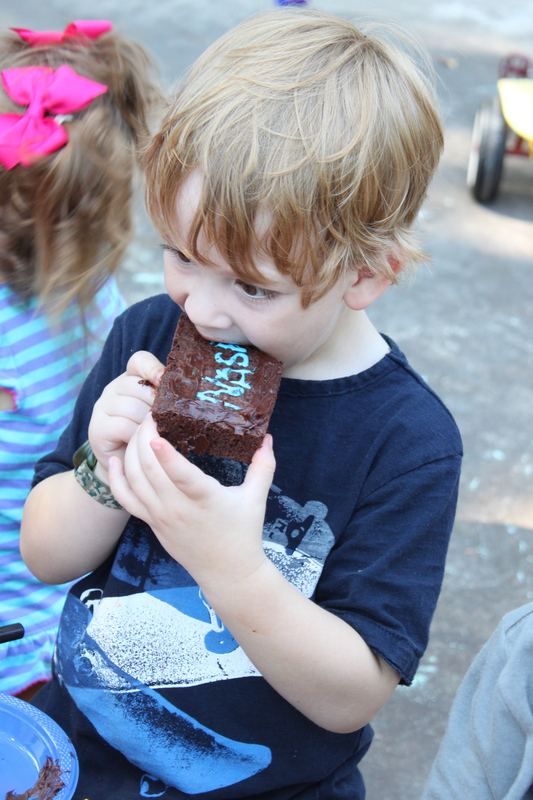 One more picture of Nash from our family celebration earlier in the week. 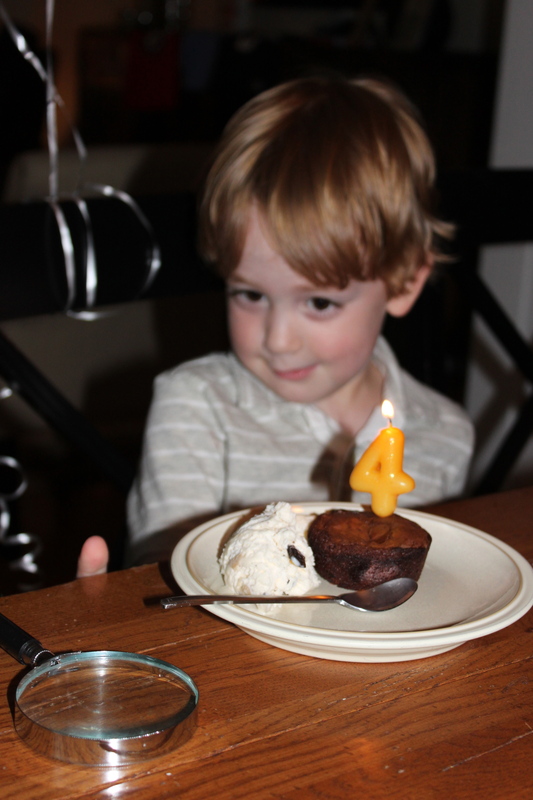 Again, not enjoying the "Happy Birthday" song...but a chocolate lava brownie and a new favorite toy: magnifying glass, makes it tolerable.